This is the Swiftwater Rescue Technician 1 and Swiftwater Rescue Technician Advanced courses taught back to back. This Swiftwater Rescue Technician 1 & Advanced Class are National Fire Protection Agency (NFPA) compliant. These are two of the three classes for personnel to meet the requirements for the Technician level NFPA 1670 Standard on Operations and Training for Technical Rescue Incidents and the NFPA 1006 Standard for Rescue Technician Professional Qualifications in the area of water. 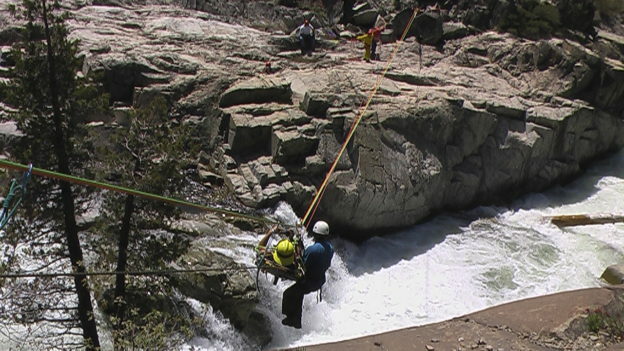 The Swift water Rescue Technician curriculum is specifically designed for fire fighters, rescue teams and professional rescuers who need the best swiftwater training available!